The Royal Navy’s HMS Montrose shadowed two Russian warships  as they traversed the English Channel. The frigate tailed the two Steregushi-class corvettes  as they progressed off the Danish and Dutch coasts before slowly moving through the Channel. This was the first test for the Montrose after its £38 million refit. BAE Systems has won the contract to design and build the Royal Australian Navy’s nine new future frigates . The British company beat Spain’s Navantia (designer of the RAN’s newly commissioned fleet of three air warfare destroyers) and Italy’s Fincantieri. The Turnbull government judged BAE’s Global Combat Ship  as the most advanced anti-submarine platform of the three contenders and best suited to the future operational requirements of the RAN. The first ship of the $35 billion program is expected to enter service around 2027 . The Chinese navy’s hospital ship Peace Ark has embarked on ‘Harmonious Mission 2018’ . It’s the seventh ‘Harmonious Mission’ for the Peace Ark, which will visit more than 10 countries, including Columbia, Venezuela, Vanuatu, Ecuador, Grenada and Papua New Guinea. Since joining the fleet 10 years ago, the hospital ship has visited more than 37 countries and provided medical assistance  to around 180,000 people. NATO released a joint air power strategy  for the first time since the alliance’s creation in 1949. The strategy anticipates  the current and future security environment and the increasing role of space and cyber in the air domain, noting that  air dominance can’t be taken for granted. The strategy comes amid an expanding US military presence in Europe . Almost half of the US defence funding marked for military construction in Europe will go to US Air Force projects. China and France have pledged to cooperate  more on aerospace projects. The talks between Chinese Premier Li Keqiang and French Prime Minister Edouard Philippe covered a range of issues, including China’s planned purchase  of more French Airbus aircraft. Both the EU and China are locked in trade disputes with the US. Following the talks, the stock market value of US aerospace giant Boeing plummeted , suggesting that a trade war could give Airbus an edge  over its American competitor. 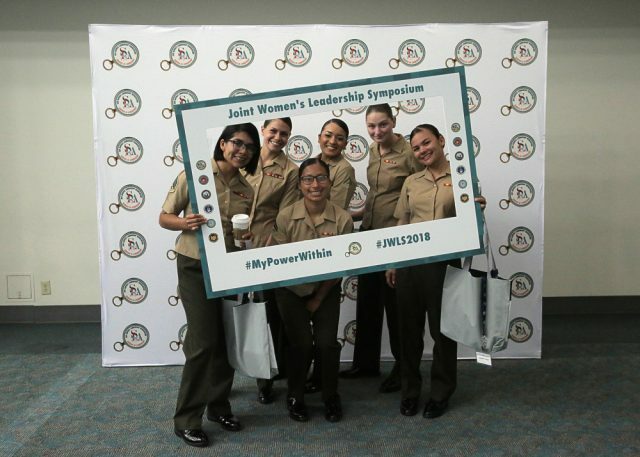 Military women from 20 different countries  descended on San Diego to discuss closing the gender gap in the military services. The US Air Force has the highest gender diversity  among the US services, with 20% women compared to 16% overall. Afghan President Ashraf Ghani declared a formal end to his government’s unilateral ceasefire  with the Taliban. There were only three days free of fighting—when the government’s 18-day ceasefire overlapped with the Taliban’s independent three-day truce for the Eid al-Fitr festival—but that’s unprecedented in the 17-year history of the conflict. The ceasefire has reinvigorated calls for peace: civilians marched 700 kilometres and staged a sit-in protest  when the brief period of peace ended. Ghani declared his readiness to announce a one-year ceasefire if the Taliban reciprocates. Australia has reaffirmed its relationship with Myanmar’s military, despite allegations of war crimes and a push to try 13 of its top security personnel  in the International Criminal Court. Foreign Minister Julie Bishop says that Australia will sustain its $400,000 commitment to training Myanmar’s troops, noting that Australia’s assistance is ‘strictly limited to non-combat areas ’, such as humanitarian assistance, disaster relief and peacekeeping. Australia has had an arms embargo on Myanmar since 1991 and doesn’t conduct joint military exercises with its military. A bloody crackdown on anti-government protests in Nicaragua has left more than 160 people dead . Amid widespread anti-government protests, the Nicaraguan National Assembly approved a decree to allow foreign military troops and military hardware  to enter Nicaragua to work with the Nicaraguan army. The decree was sent as a ‘matter of urgency’ by President Daniel Ortega in the lead-up to Nicaragua’s election  on Sunday and applies to forces from a range of countries, including Venezuela, Cuba, Russia, Taiwan, the United States, El Salvador, Honduras, Guatemala and the Dominican Republic. SpaceX has launched the final version of its Falcon 9 rocket with an Australian-made camera on board . The satellite camera was engineered by La Trobe University in collaboration with the German Aerospace Centre. The camera will be gather environmental data, including monitoring bushfires and floods. Japanese private company Interstellar, however, hasn’t been so successful. Its MOMO-2 rocket would have been Japan’s first privately funded rocket to reach space, but it didn’t get far from the launch pad. This video footage  captures the crash. Despite this failure and the failure of its launch in 2017, Interstellar has managed to bring the launch cost down to close to half of what it costs the Japanese Aerospace Exploration Agency. Following the announcement of the creation of a US Space Force, the US Army is contemplating whether some of its units should be a part of the new  branch. The main argument for the army’s integration with the Space Force is that some of the equipment it uses relies heavily on satellite technologies and the army has its own constellation of small satellites that are used for communications, positioning and navigation, reconnaissance, environmental monitoring and missile warning. Employees from Microsoft wrote a letter  to their CEO urging him to stop providing surveillance and artificial intelligence technology to US local and federal government agencies that used it for immigration enforcement. The letter follows similar protests  by employees of some of the world’s largest companies—including Google , which decided not to renew its contract with the Pentagon for a controversial drone project. Tech worker activism is spreading quickly , driven in part by the political climate, the higher bargaining power of sought-after coding specialists, and calls for ethical limitations on the ways and uses of new technology like AI. Fake news was a fixture of Mexican social media  in the lead-up to last Sunday’s election. Frontrunner feature posts on Facebook and other social media received thousands of ‘likes’ with little other interaction, suggesting autonomation. In conjunction with almost 90 organisations, Facebook created the first independent fact-checking AI tool , Verificado 2018 , to monitor the election. The tool scans and analyses text, video and stills to spot items and messages relevant to candidates and the election process. Christopher Dixon, Jessica Clarence, Amelia Meurant-Tompkinson and Melissa Liberatore are research interns at ASPI. Image courtesy of the US Marine Corps.